I-95 Business Parks Management provides a Shuttle Service to and from the Woodbridge VRE train station during morning and evening rush hours. Look for our Shuttle Shelters at each stop location throughout the business park. Click below for the Shuttle Schedule and the Stop locations. FREE! There is no charge to the individual rider for this shuttle service. During inclement weather, the Shuttle service will follow the Federal Government Schedule. If the Federal Gov’t issues a delayed opening, the morning shuttle will be canceled. The afternoon shuttle will still operate, per the schedule. The shuttle will only stop at the authorized stops as defined on the shuttle map. 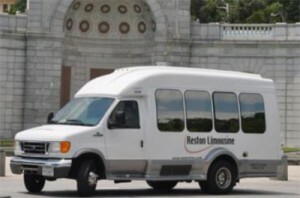 The shuttle is running on a very tight schedule and allows for ample time to travel between the Woodbridge VRE Station and Gunston Commerce Center in accordance with the train schedule. If you are not at the specified pick up spot at the time of the scheduled pick up – the shuttle driver is not authorized to stop or come back around to pick you up. You will have to wait for the next run. Please do not chase down the shuttle or stand in front of the shuttle – you will not be picked up. The drivers have been given instructions to follow their route and stop only at the designated places at the designated times in order to make the trains schedules we have provided. It is against safety and DOT regulations to allow standing passengers on the shuttle. If the shuttle is full, additional passengers cannot board. You will have to wait for the next run. We will continue to monitor the number of passengers each week and will increase the size of the shuttle should the need arise, to avoid overcrowding. Our current shuttle is not ADA accessible. Should you need an ADA shuttle – please contact I-95 Business Parks Management at least 2 business days prior to needed pick up date. For the safety of all passengers, eating and drinking on the shuttle is not allowed. WiFi is available to all passengers. Optional/Free text message alert system for riders in the event of emergencies, shuttle delays, etc. Passengers can subscribe to receive alerts for their route at any time by texting “i95BPM” to their subscription number: 800-546-6141. This message subscription is specific to the shuttle routes to and from our business park and the VRE Railway.